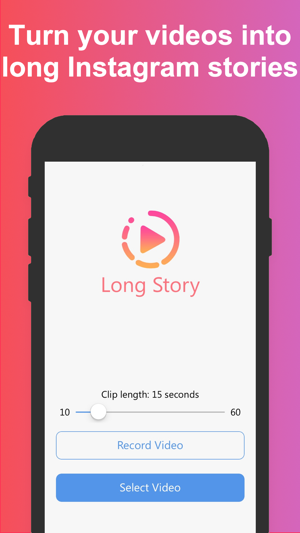 Long Story allows you to make Instagram video stories longer than 15 seconds. Never stress about that 15-second video limit for your Instagram story ever again. Long Story will take videos of any length and split them into 15-second segments. Upload these smaller segments to Instagram and create a seamless story that runs for minutes (maybe even hours — we didn’t try). 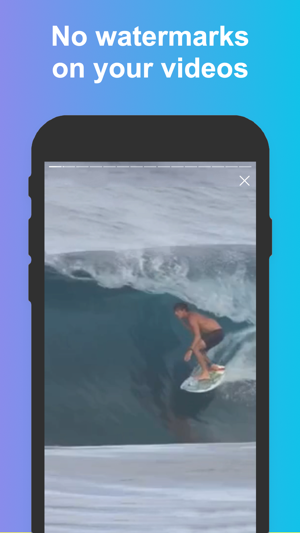 The app is simple, elegant, and doesn’t add any watermark to your videos. There are no limitations to how many times you can use the app, or how long your videos can be. It’s completely unlimited and completely free to use. 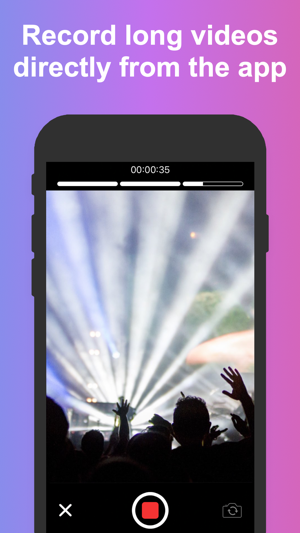 Long Story has a built-in video recording feature that lets you easily create long videos to post to your story. Thanks to its intuitive interface, you can keep tab on the length of your story and adjust things accordingly in order to create the most seamless video possible. 1. Import or record a long video you want to turn into a story. 2. 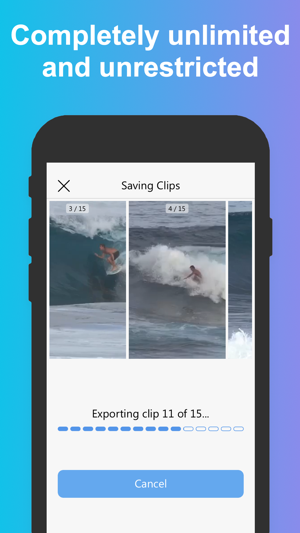 The app will slice that video and divide it into 15-second clips. These clips will be automatically saved to your library. 3. 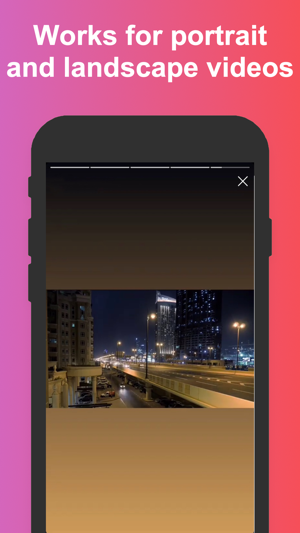 Launch the Instagram app and create a new story using the smaller clips saved to your library. Because Long Story makes it look completely seamless, people watching your story will be under the impression that you posted one long video when you actually posted shorter clips stitched together. Long Story works for all your videos, whether they were shot in Portrait or Landscape mode. No matter the orientation, Long Story will not crop or compress your video in any way. Because you’re not constrained by a 15-second countdown timer, and because you can shoot a long video without having to hold the Record button, you can really unleash your creativity and up your story game. Pre-record your story and make sure you get everything right without the pressure of a time limit. Long Story is used by YouTubers, vloggers, celebrities, creators, marketers, teachers, and influencers all over the world. Long Story also works for your other favorite apps. From Snapchat to WhatsApp, Facebook, and more, Long Story can split your videos into smaller clips of 10 to 60 seconds. Remove ads and support the ongoing development of this app by subscribing to the Pro version, which is available as a one-year renewable subscription. If you have any question about the app, or need help about something, please do not hesitate to contact us. We’ll be happy to help! If you like this app, please consider taking a minute to rate it in the App Store. If you don’t like the app, please contact us and let us know how we can make it better. This update fixes a bug where audio would stop playing when launching the app. App is cool, just wish it was compatible with AirPods. Soon as you try to edit AirPods automatically disconnect. So if your trying to cut your stories in a public place better have plug in headphones and or use the phones speaker: I use AirPods all the time, so it’s a bummer for me. But I like the app! Ps. This is for AirPod lovers. Thank you for bringing this up to my attention. This bug has been fixed in version 2.1 of the app, which is now available in the App Store. Please update the app and give it a try. If the app is now working fine for you, I'd greatly appreciate if you could update your review. If you have any question or comment about the app, you can always reach out to me directly by email at ben@sixstarapps.com. I like this app because it is very easy to use, but it gives great products.